I’m not one for “celebrity” and certainly not one to “get” the displays of grief fans show when a celeb dies. Just because we’ve seen someone perform on stage or on the telly doesn’t mean we know them. And yet today I find myself feeling genuinely saddened by the death of someone I don’t know. While the Fisherman’s Friends aren’t exactly going to make the Forbes list they have achieved a modicum of fame in recent years, playing festivals including Glastonbury and getting radio and TV airtime. Today the death of one of their number, Trevor Grills, was announced, following an accident on tour which also claimed the life of their tour manager. Just a week ago I was listening to Trevor and the rest of the FFs performing and this could be part of the reason I feel the impact of his death in a way that is not part of my normal personality. But as I think about it I believe there is more to it than that. The first time I heard the Fisherman’s Friends was at the Bristol Folk Festival. I didn’t know a lot about them, but they sang Sea Shanties. Hmm… wasn’t sure what to make of that. But when they took to the stage they had such an energy, an honesty and a feeling of a bunch of mates having fun together that it was hard not to be swept along (if you’ll pardon a nautical pun). 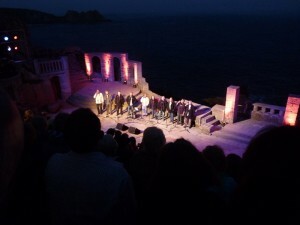 A holiday in Cornwall last year afforded a chance to see them again, this time at the Minack theatre. Again, I was impressed and the venue just enhanced things. Staring out to sea listening to The Last Leviathan was a moving moment in between the raucous singing. The following week we stayed in a cottage in the heart of Port Isaac. As we wandered round the village we couldn’t help but pass by FFs about their everyday work. No sign of the Record Contract changing lives dramatically. We had a chat with Cleavy as we bought some stuff in his shop and through the week got just the briefest taste of what Port Isaac is all about and how it might inspire the FFs. After the holiday I read their book. This really gave some insight into what makes these guys – and the village that binds them together – ticks, and it underlines what they are about, and why they sing. Singing is good for you, it brings people together, anyone can do it and you don’t have to be perfect. When the FFs sing they each lead a song. Not just the best singers, all of them – even if that means the end result isn’t as polished or perfect. For me they epitomise Folk Music. They sing together because they enjoy it. They want to keep traditional songs alive and maybe contribute some of their own. They would sing even if no-one was listening. They have inspired us to sing Shanties with the Learning Zone, and they have brought “new” songs to us that have inspired, moved us and made us laugh and have a good time too. And their motivation appears to be principally a desire to add some colour to life. Doing it for the sake of doing it. In a world where music has been turned into an “industry” this is just so refreshing. In a life where everything gets its “value” assessed but we so often miss the things that have real value what we have is ten friends having a laugh and singing for all they’re worth. Except now there are only nine. One of their friends has been snatched from them in an instant. And that strikes me as a loss for all of society, not just Trevor’s friends, family and village, though their loss and pain is simply unimaginable to me. The world is richer for the input of Trevor and all those like him who decide to give their time to doing something that just kinda seems like something good to do. Heaven may just be finding itself rocked by shanties tonight, but heaven’s gain is the world’s loss. And the unwashed and the unheard. Of the union of different kinds. 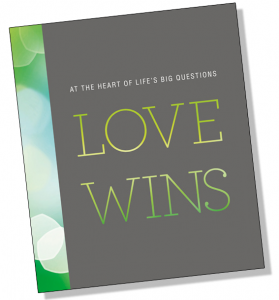 I’ve just finished reading Rob Bell’s new(ish) book Love Wins . I found it an interesting and thought provoking read, but I believe for many it will be discarded (or possibly burned) because of issues with cognitive dissonance. OK, if you’re still with me, haven’t set fire to your computer at the very mention of Rob Bell or fallen asleep through my use of strange and academic sounding words, congratulations. I shall now attempt to enlighten you in order that your life may be complete. Or something else. Cognitive Dissonance is the feeling of discomfort experienced when two conflicting thoughts are held simultaneously. For example if I perceive myself as a good person, but do something that is bad, I have to hold in my mind simultaneously a perception of being good alongside one of being bad. This leads to discomfort – guilt, shame, embarrassment and so on. Cognitive dissonance is often used as a tool for persuading people of a particular point of view. Some of my work is in the field of Environmental Interpretation, which involves helping people understand environmental issues but also encouraging a change in behaviour and/or attitudes. Effective interpretation often aims for a balanced approach to cognitive dissonance, giving a slight feeling of discomfort caused by taking on new ideas which challenge existing views and behaviours. An interesting thing happens if the difference between pre-existing beliefs and new concepts is too great. Rather than adjusting their beliefs many people will find rationalisations for dismissing the new information as false, irrelevant or misunderstood, or will simply re-interpret the new information to fit their existing beliefs. No matter how convincing the proof, the easiest resolution to such massive cognitive dissonance is often to rationalise the retention of our existing position. This all leads me to wonder whether a lot of the negative reaction to Rob Bell’s book is a result of too much cognitive dissonance. People with deeply-held beliefs are confronted with an alternative view, not from someone they would expect to espouse such ideas, not a lefty-liberal-believe-anything-you-like sort or a hippy yoghurt-knitter, but the Nooma-ministering mega-church leader. The cognitive dissonance meter explodes. The instant reaction? Justify your position, marginalise the “opposing” view, rebalance the dissonance by removing the aberrant thought. Peace can reign again in the brain once Rob Bell has been demonised, turned into some heretic who has stepped off the reservation. His ideas do not get weighed, tested, mulled-over. The reader’s views are not questioned and tested either. An opportunity is lost. An opportunity to improve understanding, deepen faith, explore belief. I’m not suggesting for a moment that everyone should agree with Rob Bell. 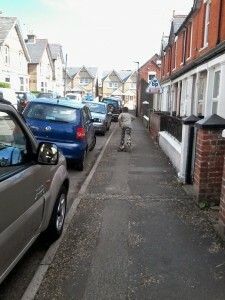 He has, after all, just put forward his thoughts at this moment in time on a number of issues. Disagree with some of it, or even all of it. But don’t let the vagaries of the brain shut you off from considering new ideas. Strong faith can take challenges. That doesn’t mean our framework of understanding simply fends off all comers, but rather if faith is true and real it can accommodate challenge, exploration and new ideas. The other is just dogma. When I was pregnant with Rebekah 15 years or so ago I read “normal” parenting books. I hadn’t heard of attachment parenting, unschooling, babywearing or any other yoghurt-knitting styles. These are now things which even if I don’t/didn’t do I am aware of and accepting of. So I read mainstream baby books and whatever came in the bounty packs. I probably had the equivalent of this DK book. I must have been heading the alternative way though because we did spend ages working out how to do Chinese fold for a terry nappy and had some dreadfully leaky Kushies. I liked the idea of breastfeeding and talked to the health visitor about vaccinations (she was unusual as she didn’t immediately try and convince me to vaccinate but rather gave me info on homepathic alternatives). Anyway, according to everything I read or heard at workshops etc about parenting, the key to successful parenting was consistency. It doesn’t matter what style of parenting you use as long as you do it consistently. Well now 15 years on I can safely say that I have been pretty inconsistent and actually the kids seem to be turning out just fine – well if making dinner independently, writing complaints letters, believing it’s appropriate to swim in the sea at the beginning of march and playing cards are just fine skills to have. I left Rebekah to cry herself to sleep (she didn’t seem to want to be cuddled and wailed for longer when we held her), Ruth sorted herself out and Jonathan I nursed to sleep for 2 1/2 years. Girls slept in their own/shared room Jonathan co slept for about 2 1/2 years. They all sleep just fine now! I have started – and not finished – reading-aloud story books many many times (we still haven’t finished the The Lion Children ). We have filled in the first 4-5 days of the Advent book every year and not carried on with it – ditto Lent. We have started doing art every Friday (only works when we invite friends and hence are forced to do it). We have about 15 part-completed scrapbooks. Each. I have been promising Jonathan since last September that we will go to Tae-Kwon-Do (honestly we really will get round to it – in a couple of weeks). We have planned rewards for not bickering while doing the dishes (lasted for about 3 weeks before we forgot – although the kids didn’t). And so it could go on. a video from Southern Water about….well, water. a book about Hendon as it used to be. etc.etc. etc. all of which really might come in handy (well maybe not the waterboard video given that we don’t have a video player any more). After all, the fleece that has been sitting under Rebekah’s bed for a couple of years was used in abundance at Christmas. It’s probably just as well that we fell naturally into autonomous education as I don’t think I could have stuck at doing a curriculum or even consistently doing half-an-hour’s maths and English at the kitchen table every day. I’m inconsistent in, what is refereed to as, my “spiritual life”. I don’t do the “good little evangelical” daily quiet time, I read my bible either hardly at all or loads at one point if I want to find out about something or if something has sparked my interest. I enjoy lively worship music and I loath lively worship music. I suddenly developed a liking for Gregorian Chanting. I have always liked accessible versions of the bible but when I heard bits of the King James version being read on Radio 4 I found it strangely compelling (and when we read “you are snakes” rather than “you brood of vipers” in a modern translation of Matthew 3:7 I was really cross about the loss of the more poetic language). I set up bible study groups which we manage for 6 months and then something happens and we don’t get going again. We do bible quizzes on a Sunday evening – only we don’t any more. I like rituals but we don’t do many of them and they vary from year to year. And so on. In our marriage we’ve had regular date nights – and then they’ve become irregular and completely disappeared and then they’ve maybe started up again. We’ve had a go at the Dialoguing technique we learned at a marriage-encounter weekend. We’ve taken regular and then not so regular walks together. We’ve had regular time set aside weekly to do paperwork and cleaning (they are mostly ongoing but we often don’t do them). But I’m not even consistent in my inconsistency. I have consistently stuck at my marriage and home educating my kids. Through most of my life I have gone to church and wanted to engage in some way with God. And yet now – acknowledging that I am mostly inconsistent and not feeling guilty about being inconsistent I feel overall the most content I have ever been. I am more relaxed about being inconsistent, about doing what seems right for me and for my family at the time and not what is considered to be right. This morning I picked some daffodils from the garden I am not supposed to pick the daffodils from the garden (my own internal rule not Martin imposing gardening authority over me!) as i like them to be there as I look out over the garden, but this morning on Shrove Tuesday as I am getting ready for the season of Lent picking the daffodils and seeing them on the breakfast table seemed like the right thing to do and I was happy with it. 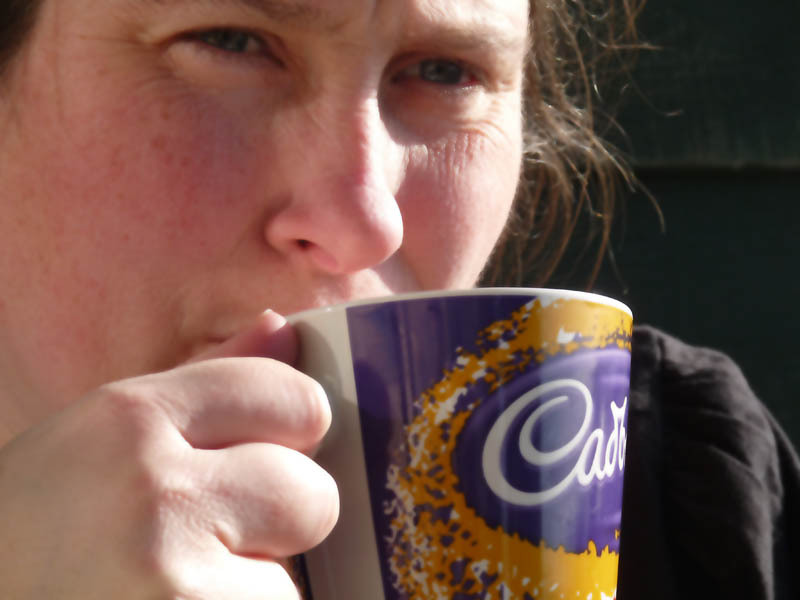 Some of my inconsistencies I am unhappy about and feel to be failures – such as not doing more reading of novels together with the children – but most I have come to accept as part of the way I am made up. I like doing things for short amounts of time. 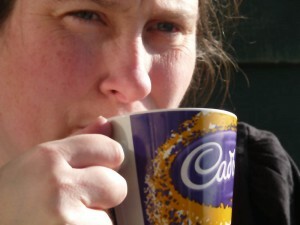 I don’t like long term commitments (although a marriage of 20 years before I hit 40 is a fairly good long term commitment 🙂 ) but prefer one-off activities – although we did maths every week for over a year – however we never managed a consistent time for doing the study for Rebekah’s RS exam. So after some consideration I don’t think consistency is quite as important as it was made out to be. My inconsistent levels of expectation on what I want the kids to do and not do don’t seem to have unduly confused or upset them – what I expect of them changes with our circumstances at anyone time. I am sure my husband would rather I consistently had the dinner on the table when he came home from work rather than somewhere from half an hour before he arrives home to 9 o’clock at night but aside from that he seems mostly happy to stick with my inconsistencies. I have a tendency to enjoy something (playing games on a Sunday night for example) and then think that we should always do it – when I don’t manage this I often feel disappointed and guilty whereas when I accept that I can do something just once, enjoy it and then see how it goes in the future I feel much happier and am actually more likely to do the thing again. I have been coming to the realisation that a bit of inconsistency might just make me adaptable and flexible and perhaps accepting that’s how I am might just make me feel very content about how my life is. I had a friend round to help with some plumbing recently and managed to get drawn into his latest scheme. It’s a good one though, because it involves action to help save our libraries. If you have missed all the local and national media coverage of Island library closures, the Isle of Wight Council are threatening to close down 82% of Island libraries. We will be left with 2. This is a short sighted action with long term consequences and I for one am keen to see it stopped. We should be celebrating our libraries, making them better, not closing them. These aren’t just novel-lending facilities – a Blockbuster for books – these are vital multi-use community facilities, serving needs from helping children learn to read to helping unemployed people find work, from ensuring lonely people still have some interactions with people to facilitating important research. And much more besides. Plus they lend lots of novels too, which is also great (before I get walloped by one of my family, just ‘cos I don’t read novels much). So, the campaign idea is simple (but with a twist as Dan Roberts is involved!). If you live on the Isle of Wight and don’t want to see your libraries closed then make sure your elected representative knows how strongly you feel. 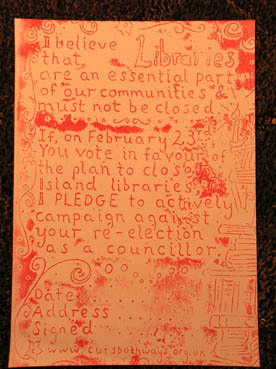 If you feel strongly enough about it not to vote for them again if they vote to close your library then tell them. And if you’ve done that, why not go a stage further and tell them you will campaign against them. If you are prepared to do so, sign a pledge to that effect so they will know. Campaigning against them could mean a range of things, from suggesting to friends and neighbours that they don’t vote for them (reminding them of the councillors history) to standing as an independent candidate. So, Dan decided to issue pledges. Being who he is, he hand-built a printing press to produce pledges for people to sign. You can read all about it on the VentnorBlog. Even Dan could see the shortcomings of his device though, in that many more people would want to sign than he could produce pledges for. So, we have cooked up a little website. It’s quite simple, and provides an easy mechanism for you to sign the pledge. So why not take a look, and join our campaign? Help ensure our councillors know they will be called to account if they axe our libraries.